Earlier today we wrote of a Starbucks in Philadelphia that got in trouble for refusing to allow a police office to use the store’s restroom. 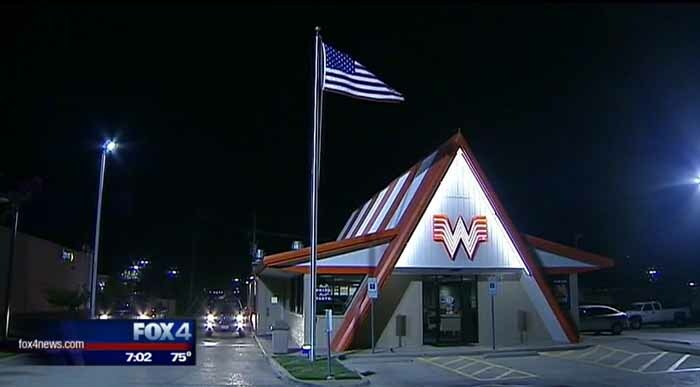 Now we get yet another story of a fast food joint revealing anti-cop sentiment with a Whataburger in Texas telling some police they they won’t serve them. All this is a result of punk kids behind the counter at these places who are taken with the criminal Black Lives Matter movement and think it is OK to denounce the police. This is happening way too much.